I always think of the Autoharp when pondering the iPad. The classic folk instrument proves that a simple, ready-to-play interface can be expressive. Many beautiful instruments are hard to learn; this is a genuine folk instrument in that it can make lovely sounds right away. And that leaves space for letting your heart out singing. 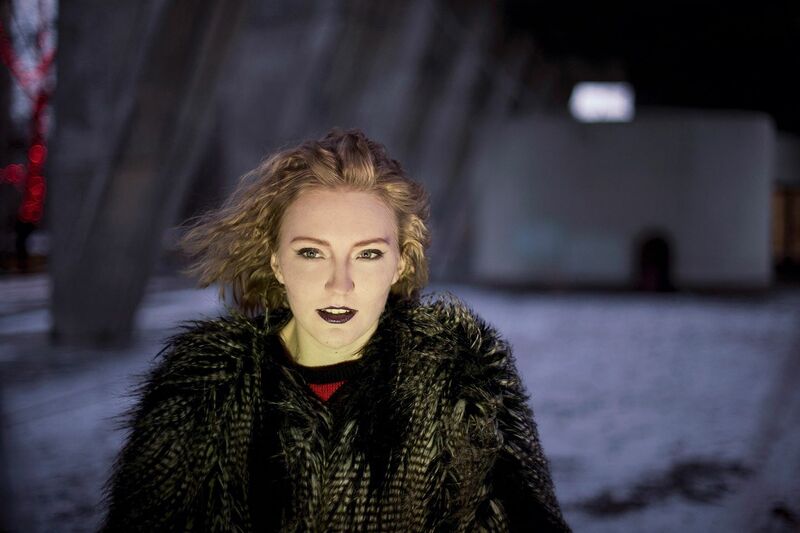 Our friend Jekka, producer and soloist (aka Jenny Nedosekina, of Moscow), was recently invited to recreate her electronically-produced music in an acoustic rendition. She answered with something of a hybrid: it’s unprocessed voice and autoharp, but with the addition of the wonderful iPad app Samplr. That portable interface becomes a perfect one-person-band accompanist, transforming the spare sound of the autoharp into a lush bed beneath her voice. The song “Break my Heart” is fitting, as this is to me achingly, heart-breakingly beautiful – a reminder of how personal and intimate performances can be, even with a tablet alongside. Computers and tablets are rapidly becoming folk instruments of their own. The song is part of a project called Fairline (link below, though all in Russian), which invites artists to film acoustic performances in unusual locations. Perennial science fan and fellow nerd Jekka opted for the courtyard of the Russian Science Academy. She also tells us that, like the rest of us, she’s become a huge fan of Samplr as an app. The tool is about the best looper around, full of options for playing those loops with your fingers. And any excuse to mention Jekka’s music is a nice one; hoping for more on her productions soon (partly because I can’t wait to see what she does next with this incredible light-up interactive bubble dress she and her team have devised).